Balkans & Beyond, Days 7 & 8: Vienna, Austria, to Bratislava, Slovakia. At a distance of just 35 miles (as the crow flies), Vienna to Bratislava is one of the shortest legs of our trip. Yet in a geopolitical sense, we have crossed the great divide of our journey. 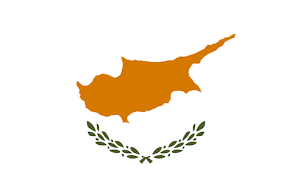 We've left behind the familiarity of Western Europe and its use of the Latin alphabet, shared democratic heritage, consumer goods and customs similar to our own. Arriving in Slovakia, we entered the part of Europe that once belonged to the Soviet block, where people speak languages with Slavic roots, languages written in unfamiliar alphabets. In the east, national economies are less advanced and citizens less prosperous than in Western Europe. Eastern European countries were under Communist rule until Soviet leader Mikhail Gorbachev instituted reforms that led to the dissolution of the USSR in 1991. 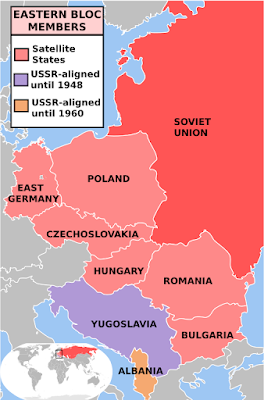 Several years before, Gorbachev had halted Soviet military intervention to prop up Communist governments in Eastern Bloc countries such as Czechoslovakia and Poland, paving the way for free elections and democratic revolutions across the area. In a brief four years—from 1989 to 1993—Communist rule in Eastern Europe shriveled and died. Albania and Yugoslavia, which had maintained Communist governments unaffiliated with the Soviet Union, abandoned Communism also, and the republics of the Yugoslav federation declared their independence as the Soviet republics had. With only a quarter century of experience, these young democracies are still in developmental stages. In the last few years, a wave of populist politicians has swept into power in some countries, leading to concerns that these fragile democracies are at risk of descending into authoritarianism. Yet, their citizens are not ready to turn back history and give up their liberties. Slovakia is one of the countries where a prime minister, in office for a decade, grew his power and moved steadily toward autocracy. At the end of February, a young reporter investigating the prime minister's suspicious finances and ties to the Italian Mafia was murdered along with his fiancé. Rather than meekly accepting this next step toward a totalitarian type of rule, the people of Slovakia took to the streets. Opposition movements organized peaceful protests and hundreds of thousands of citizens showed up. Under pressure from all sides, the prime minister finally resigned. 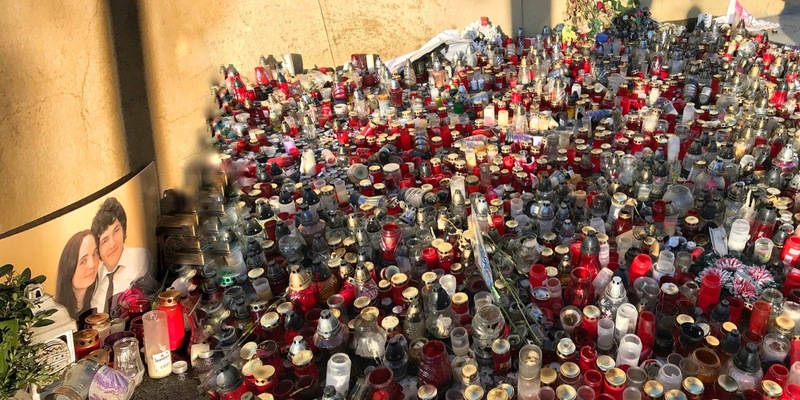 In heartfelt displays around Bratislava, memorial candles and floral tributes continue to express a silent protest to the young couple's deaths. 'For a Decent Slovakia,' the umbrella organization that united all the grassroots efforts, plans another rally this Thursday to protest the new cabinet's failure to restore public trust in the national government. With this kind of activism, the Slovakian democracy appears to be more resilient than some observers have suggested. Another aspect of the lingering ill-effects of Communist rule in Eastern European countries is the lack of modern sanitation systems. When tap water fails to undergo thorough filtration and chemical treatment to remove contaminants, visitors are at risk of developing gastrointestinal illnesses, most commonly travelers diarrhea (TD). 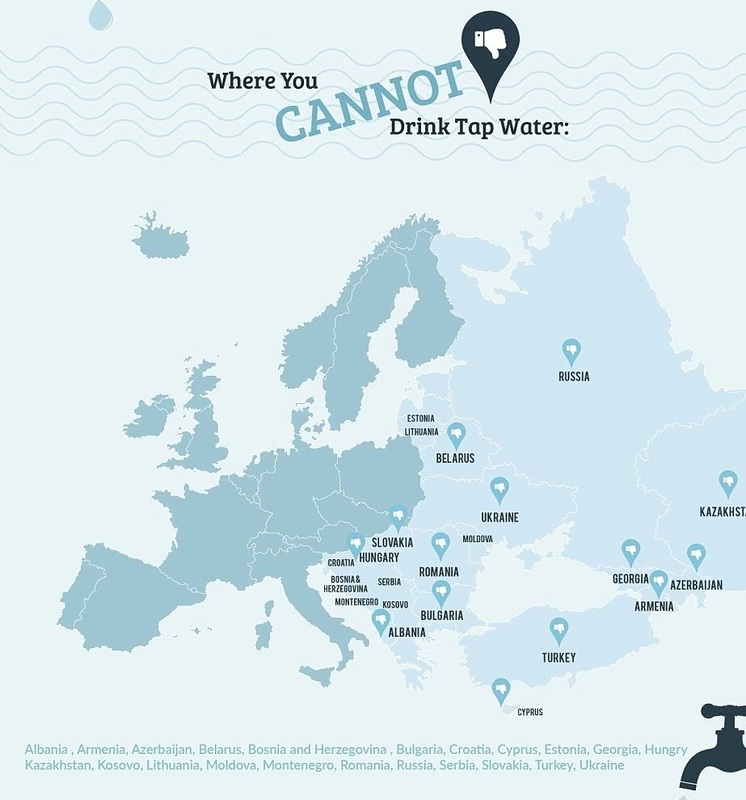 According to the Centers for Disease Control, which admits that it exercises an abundance of caution, tourists should stick with bottled water in all of the countries of Eastern Europe. 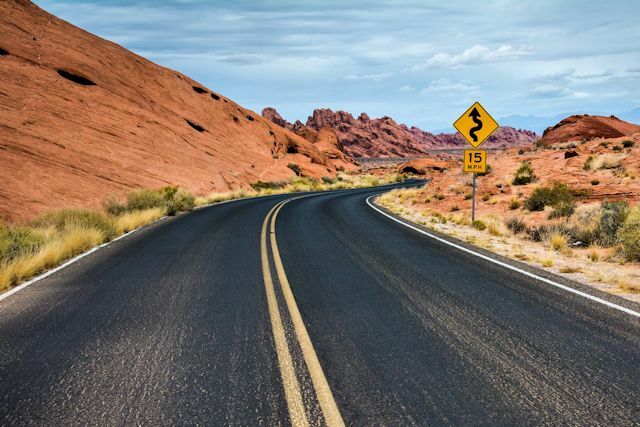 Bacteria and enzymes native to this area will not likely bother locals as their digestive systems are accustomed to them. Ours are not. We thought we had learned this lesson a few years ago when Ken developed a nasty case of TD in Casablanca, but we didn't think we had to worry about it on this trip until we got past Hungary. Admittedly drinking bottled water doesn't seem like a big deal, but it's not just that you can't drink the water. If the water quality is questionable, you don't want to brush your teeth with it. Or use ice made from it. (Freezing does not kill germs; it just keeps them from multiplying temporarily.) Or eat salad washed with it. That one we know well. A beautiful salad at an upscale European hotel chain was the culprit in Ken's Morocco illness. So for the next two months, we need to stick with bottled water and with food that has been cooked, has a peel that can be removed or pre-packaged foods. For someone like me who tends to eat salads two meals a day and avoid processed foods, it's a real change. Now there's a big star on my calendar for the late May date when we go to Italy and I can have a salad again. Until then, we'll follow the CDC guidance for these countries: Boil it, cook it, peel it, or forget it! All this information came to light after we arrived in Bratislava on Easter Sunday. We were about to go for a walk after checking in at our Airbnb apartment, and I was refilling an empty water bottle from the tap. Ken wisely asked, "Are we sure tap water here is OK?" It didn't take much research to uncover the cautionary warnings. But we couldn't just walk down the street to the neighborhood grocery store to pick up some bottled water. By law, all the stores in the city were closed on Easter Sunday. And on Easter Monday. (And on Good Friday, but that didn't affect us.) So we found a snack bar in a mostly closed shopping center nearby that sold bottled water and soda. Tomorrow we'll spend our last day in Bratislava going to the grocery store to buy large bottles of water. Then we'll finish our sightseeing and post some photos of the fascinating places we've been visiting in our wanderings around Bratislava. Loved: The spirit of the Slovakian people and their determination to safeguard their democracy. Learned: A little more advance research would have prevented this unpleasant surprise. On the other hand, the CDC also cautions against tap water in Estonia, Latvia, Lithuania, Belarus and Russia. We visited all those countries in ignorant bliss last summer and suffered no ill effects. Our suspicion is that we'd be fine in urban areas, but for now, we're erring on the side of caution. A few weeks (or days?) sans salads may be enough for me to throw caution to the salad bowl.